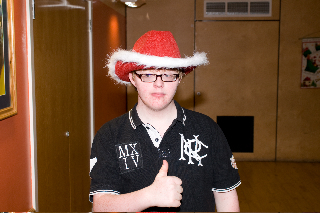 We are a club for children betwen 6 and 16 years with additional support needs or disability who live in Wst Lothian. Yellow Teapot has two sections, a junior section and a senior section. The junior section consists of primary children and the senior section of secondary children. Each week there is a range of activities for children to participate in. This includes arts and crafts, baking and dancing along with many other things. The groups also go out to a wide variety of places such as ten pin bowling, swimming and horse riding. There are three sessional staff who organise weekly activities and a number of volunteers attend each week to support the children and their activities. We are holding our AGM on Tuesday 1st May 2012 at 7:00 pm at Uphall Community Centre - All Welcome! The yellow teapot club . See the Volunteer page for more Info. Can you help with sponsorship or a donation? In the main we have to do all our own fundraising and every little helps in widening the range of activities we can offer. Our Annual Charity Night was a Race Night held on Friday 18th November 2011 at Pumpherston Bowling Club -A total sum of £643 was raised. "Thanks to All who help make this such a successful evening! " Two teams from represented Whitburn Pool League were at the Scottish Team Championships in March at Craig Tara Holiday Park, Ayr. In the run up to the event players from both teams collected donations for local charity and chose " The Yellow Teapot Club". A presentation was held on Tuesday 21st June at Uphall Community Centre by members from the Pool Team, the photo is Diane Mctigue - Treasurer accepting the cheque for over £500 along with some of our Club Members". 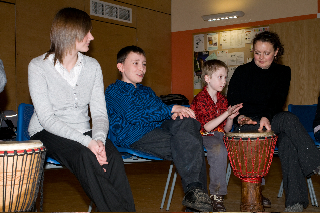 In 2011 we again held a "Sambalistic" Drumming Session which always proves popular with our members. Website design is a donation by www.zoomwebdesigns.com.